JULIAN LOVE: Just how much is enough? Last week the medium format world was buzzing with news of the new Hasselblad 50 megapixel digital back. Exclusive to the H3D camera, it took the megapixel wars to new heights. 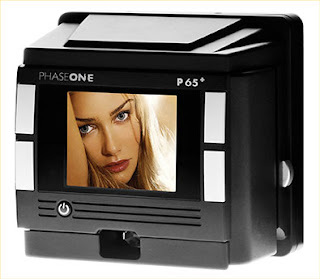 And just as we were getting our heads around 50 MP, Phase One have just announced their new full-frame 60 megapixel back. So with pixel counts rising into the stratosphere, just how much is enough? For the last 3 years I have been shooting with the Canon 1Ds MkII. When it came out in late 2004 it’s 16.7MP were class leading in 35mm cameras, and even medium format backs were only offering 22MP, not a huge leap forward in resolution. At the time 16.7MP seemed more than enough for any editorial and most commercial applications. Able to print a DPS (double page spread) without upsizing, for most shooters there was little need for anything more. Even now, nearly four years later, the only 35mm camera offering more resolution than the 1Ds MkII is it’s younger brother, the 21.1 megapixel 1Ds MkIII. While there are some additional improvements in the MkIII, the extra 4.4MP certainly wasn’t enough to make me shell out £5k on a new body. But by now 35mm was nipping at the heals of the twice-as-expensive medium format backs, so in 2006 we saw the introduction of 39MP backs from Hasselblad and Phase One. Knocking on the door of 5”x4” film quality, there was no job too big for these cameras and they were rapidly adopted for even the most demanding commercial shoots. So we might have expected the megapixel wars to slow down as camera companies began to focus on other aspects of image quality such as dynamic range or colour fidelity. Instead we have just had announced these new 50 and 60MP backs. So just who are these incredibly high resolving backs for? For sure, the true full frame aspect of the Phase One will appeal to many with legacy lenses or those needing to shoot super wide. But I can’t help feeling the increase in resolution is largely pointless. There will always be a group of photographers for whom the price will be worth it to help differentiate themselves from the pack. And I suppose these are the target market for the new MF backs – the few hundred or so photographers who are at the very top of the commercial photography pile who need to show that they are one step ahead of everyone else, even though most of that additional resolution will never be needed. As for me, I’ll continue to stick with my ‘paltry’ 16.7MP cameras for now. Maybe some future 1Ds Mk IV will be enough to entice me to upgrade. But it won’t be resolution that makes me jump for the new camera – I’ll need to see improvements in other aspects of image quality, ergonomics and other features before I put down my trusty MkIIs. Well said Julian, I couldn't agree more. The bigger file sizes also mean increased problems for file storage and computer processing power to open and work with these files. The worrying trend is that 35mm camera producers are making larger and larger megapixel cameras.The problem is that I expect some stock libraries will up their minimum megapixel requirements too. A few years ago some libraries used to stipulate 12 megapixles as being the minimum specification, and they termed these as being 'professional' models. Now, quite a few models fit that criteria, and I suspect it won't be long before most entry level models will too. That's why I suspect the libraries will up their requirements. If the current models are capable of producing sufficient quality for most applications - magzine DPS etc then who is really benefiting? Interesting topic and your comment on this is good.Im using nikon d40 at the moment,it has only about 6mp but it has been enough for me.Im not a pro yet so that's one thing also.